Attention Deficit Hyperactivity Disorder, or ADHD, is one of the most commonly diagnosed childhood behavioral disorders. The American Psychiatric Association reports that 5.4 million children have been diagnosed with ADHD. Diagnoses are on the rise – The Centers for Disease Control reports a 3% increase per year in recent years – and prescriptions for the FDA-approved ADHD drug Adderall exceeded 18 million in 2010. Research advances in neurobehavioral science have revealed some consistencies about this syndrome. As many as 10% of school-aged children are diagnosed with ADHD, all of which can suffer substantial delays in developing the appropriate skills to succeed. Boys are more commonly diagnosed; girls are a bit less than half as likely to develop ADHD. Regardless of gender, ADHD has three main components, which may manifest differently in each child. Hyperactivity is a common trait. These children are restless, overly talkative and always in motion. These fidgety children are often foot-tappers or finger-wigglers, and so they may find it very difficult to take turns or wait patiently in line. Younger children with ADHD are often unable to play quietly. Impulsivity, the second component of ADHD, is displayed by lack of restraint in speech or actions. Children may blurt out their thoughts or constantly interrupt others. ADHD impulsivity causes children to act when the urge strikes, even if that means walking out of a classroom or shouting out the answer to a question while it is still being asked. Inattention can be the most difficult aspect of ADHD for school-aged children. Students who cannot follow directions or focus on a task long enough to complete it, or whose minds wander incessantly during class often struggle academically. What seems like forgetfulness is actually an inability to stay organized and on task. Clearly all children display these traits during some period of childhood; children are forgetful, excitable and fidgety by nature. The distinction that must be made is whether the traits mentioned above significantly impact a child’s life. The APA’s DSM-IV recommends that at least two of the three traits must have appeared before age 7 and been constant for a minimum of 6 months for an ADHD diagnosis. While the cause of ADHD remains uncertain, researchers have discovered interesting differences in the brains of ADHD children versus their peers. Our brains contain receptors that respond to dopamine neurotransmitters. When dopamine levels are functioning correctly, areas of the brain that govern emotion and cognitive processing operate smoothly. When dopamine function is disrupted, the brain has difficulty processing information and responding to it appropriately. Dopamine function seems to affect ADHD kids in four distinct areas of the brain. The cerebral cortex controls the ability to focus and pay attention. Brain imaging on ADHD patients has shown that the cerebral cortex is not only smaller than average, but to have slower brain wave activity in response to stimuli. This explains ADHD students’ difficulties in planning, decision-making, concentration and impulse control. Not much is known about the limbic system, but it is established that it controls emotions, motivation and survival instinct. This area also affects memory. Dysfunction in the limbic system can cause the mood swings and emotional outbursts often seen in ADHD children. The frontal lobe of the brain, known to be where neurotransmitters are generated, has also been shown to be smaller in ADHD patients. Aside from producing dopamine, this area of the brain controls impulse control and inhibition. The reticulating activating system (RAS) is an area in the brain that processes information received via the senses. The RAS converts this sensory input and controls attentiveness, central nervous system activity and sleep patterns. When the RAS is dysfunctional, the result can be talkativeness, restlessness, jumpiness, poor memory and decreased self-control. While research has revealed glimpsed into the particulars of an ADHD brain, neurobehavioral scientists have much to learn. The current standard of treatment is a combination of stimulant drugs like Adderall and assistance from parents and teachers. How Can Parents and Educators Help? Make clear, short task lists and display them prominently. For example, a chart may be hung in the bathroom outlining the steps towards dressing and grooming in preparation for a school day. Implement an assignment book that is checked by teachers and parents daily. Offer more positive reinforcement than negative consequences, and very clearly explain the outcome of bad behavior so the child completely understands. Consider hiring a tutor to help your child with homework. Clearly and repeatedly warn of upcoming transitions, such as leaving for a family worship service or going to the gym with classmates. Develop a documented working plan with your child’s school and your physician to help your child succeed. Avoid distractions while doing homework; provide a quiet space for your child to study. The most commonly prescribed drug for ADHD patients is Adderall. Adderall works by increasing the brain’s ability to synthesize dopamine; the increased dopamine flow counteracts the effects of ADHD by allowing the brain to function without disruption. This drug is a stimulant and is comprised of methamphetamines; somewhat ironically, Adderall has the opposite effect of an amphetamine on ADHD patients because it calms them down. Brain scans on ADHD children who have taken Adderall show increased function in all four areas of the brain affected by the disorder, and these children are better able to process the information their brains are receiving. Unfortunately, the popularity of Adderall has led to abuse and questionable prescribing practices. 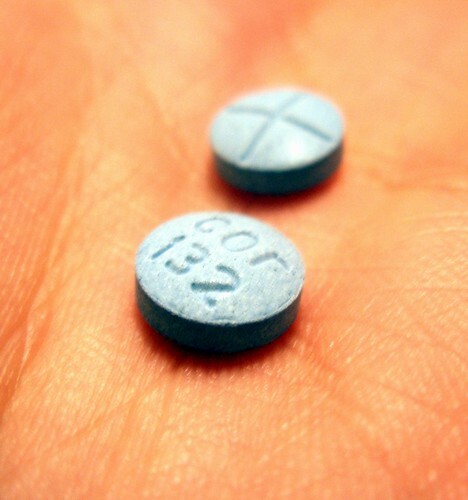 Adderall is widely taken by college students who benefit, at least in the short term, by the effects of the amphetamine. Overprescribing of the drug has made it easily available; 34.5% of college students in 2012 admitted to using Adderall for study enhancement. Abusers often crush and snort the resulting powder, a practice that is dangerous and addictive. While in some circles it is considered “academic doping,” similar to an athlete’s use of steroids, it is dangerous and illegal. A school of thought has also emerged that children in low-income areas who do not receive adequate support from their educational environment or at home will benefit from Adderall. These children do not have ADHD, but are prescribed it to enhance their focus and attention span; consequently, these children perform better in school. While many may question the ethical standards espoused by a physician who prescribes off-label for better academic performance, some feel that it is a necessary evil. Dr. Michael Anderson, a pediatrician in a low-income area of Georgia, says, “We’ve decided as a society that it’s too expensive to modify the kid’s environment,” and adds that he instead modifies the child. Child psychiatrist Nancy Rappaport of Cambridge, MA acknowledges this problem as “using a chemical straitjacket instead of doing things that are just as important to do,” such as supporting the child educationally and in the home.